Many people may experience hangovers after last night’s big party. It is a kind of symptom that consists of headache, fatigue, severe thirst and even nausea. 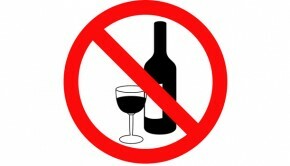 Since everybody needs to interact with others, drinking is one of the most common ways to maintain a good relationship. However, hangover is also avoidable if you do some preparations. One basic rule you should remember is never start with an empty stomach. Before you treat yourself a booze binge, just make sure your stomach is not empty. Food can effectively prevent or delay the absorption of alcohol in your body. Small snacks can also be a great help. Water is also effective to prevent yourself from drinking too much. Drink plenty of water before you head to a party which will keep yourself hydrated. Furthermore, it can dilute the alcohol you are going to drink. Since life is a party, you cannot do everything perfectly. This happens to all of us occasionally, especially for men. Then what you should do after you find yourself already suffering from a hangover. Here are six Home Remedies to help you get rid of a hangover. Water is always the best medicine since the suffering symptoms are mainly caused by dehydration. Actually, you should drink some water between drinks and before you go to bed, you need at least two glasses of water to prevent the happening of dehydration. Juice is also ok if you prefer. 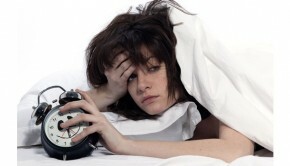 If you do not have to go to work next day, you should get enough sleep until the symptoms disappear. It is not necessary to remind you this since most people will choose the easiest way. Remember to inform your boss that you cannot go to work if necessary. You will never want to lose your job because of a stupid hangover. If you find yourself cannot bear the headache any more, you can accompany your glasses of water with an aspirin or ibuprofen. Prepare some painkillers beside your bed since you are not able to predict everything. Their effect is obvious especially when you need to get rid of a hangover quickly. It may be really difficult for you to get up from the couch or bed. However, some exercise will let you recover from the hangover faster and feel better. After you take some exercise, the accumulated toxic substances will be eliminated through sweating. You can walk to the office if it is not far away. Doing some gentle exercise in a gym is also a good way to solve your hangover. Your body is weak after a night’s revels. It needs supplies. Fresh fruits and vegetables are the best choices. They will replenish the vitamins and minerals that the body has lost. Tomato and orange are highly recommended as they both are rich in vitamin B. Avoid something fatty which will only worsen the situation. Keep a healthy diet can never be wrong. 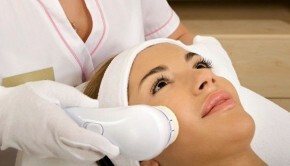 It will help you to remove toxins from your body. You can relax yourself and after that, you will feel fewer hangovers. What a win-win! Treat yourself a comfortable and long bath if possible.